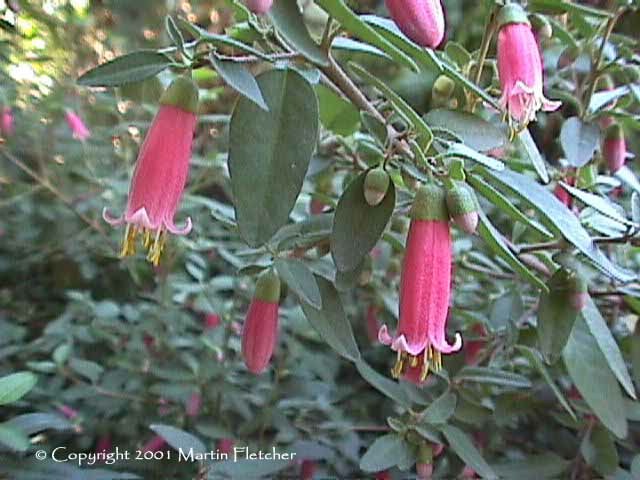 I have had good luck with the Australian Fuchsia in the garden. Correa Dusky Bells is susceptible to the oak root fungus if you don't already have a problem with this fungus the Australian Fuchsias could be a good choice. I keep their summer irrigation as infrequent as the plants will allow. Once established they don't need much. I grow Correa Dusky Bells on a slope or in well drained soil. If there are already issues with oak root fungus I don't even bother using Correa Dusky Bells. They will grow in filtered light but prefer full sun. Correa Dusky Bells will stay under 2' tall and spread to about 4 feet. Flowers and foliage of Correa Dusky Bells - Red Australian Fuchsia. High resolution photos are part of our garden image collection. 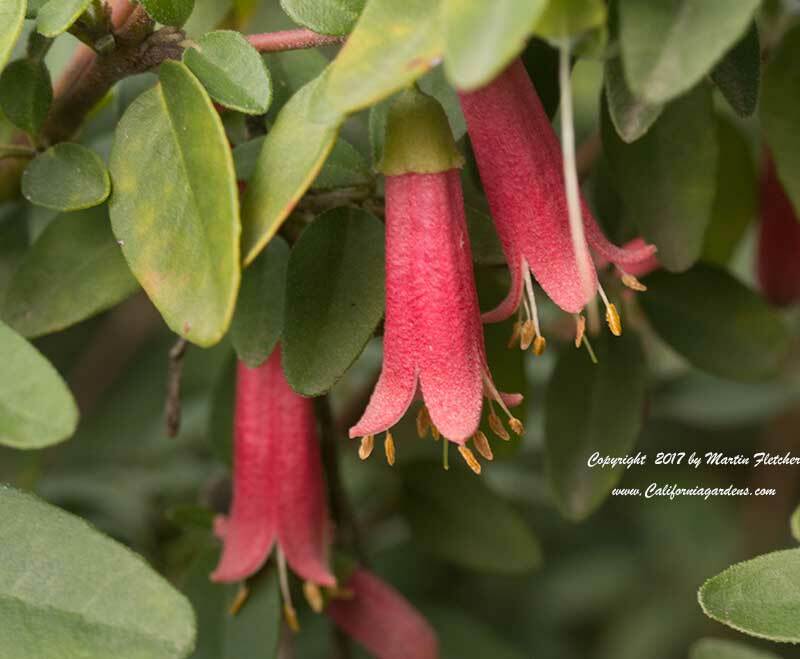 Flowers and foliage of Correa Dusky Bells - Red Australian Fuchsia.